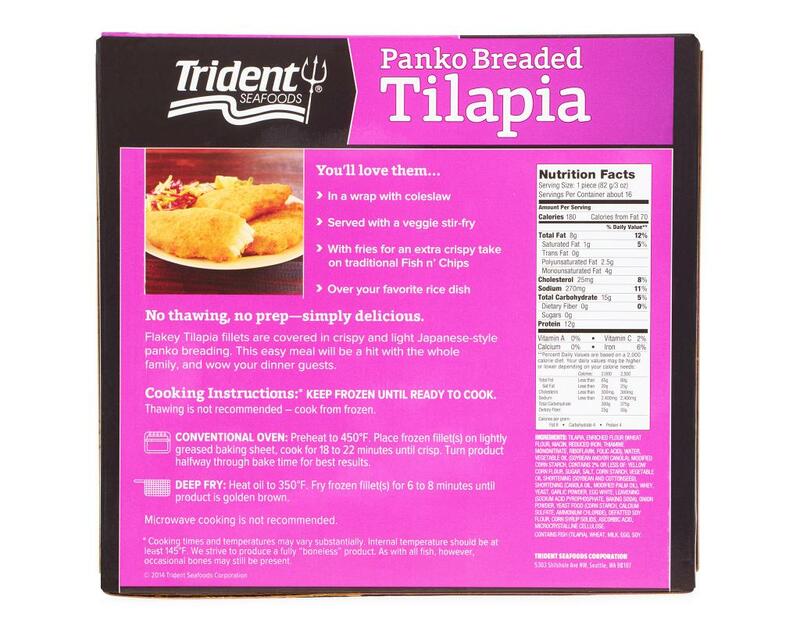 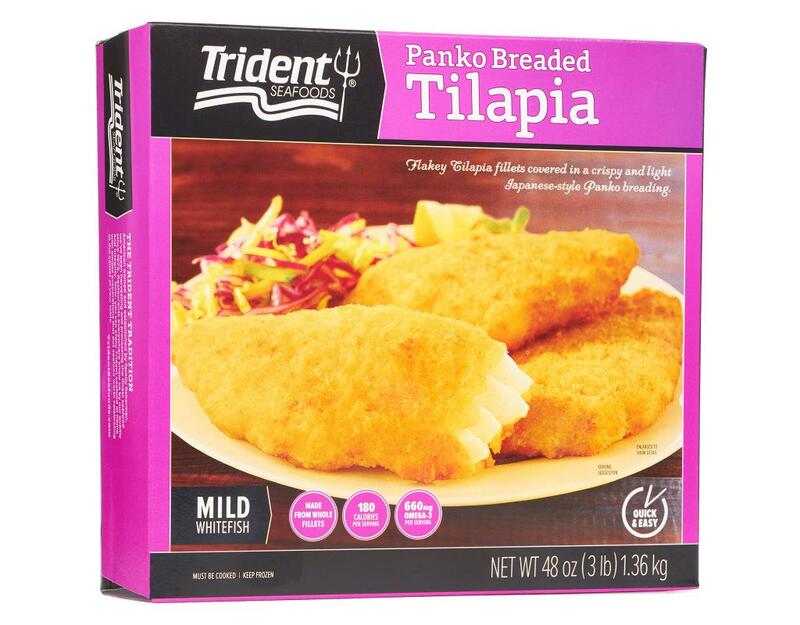 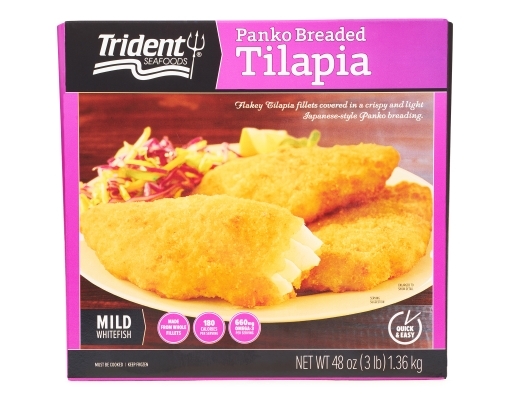 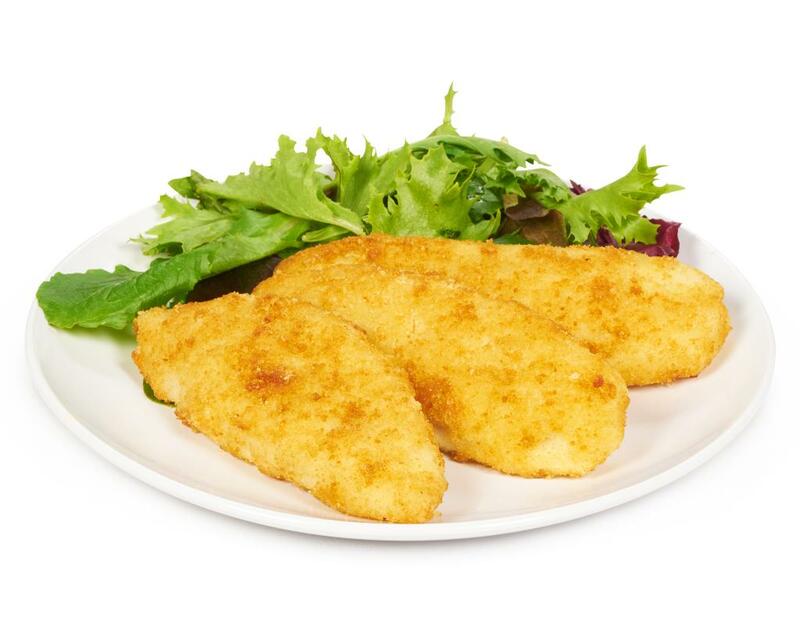 Flakey Tilapia fillets are covered in crispy and light Japanese-style panko breading. This easy meal will be a hit with the whole family, and wow your dinner guests. 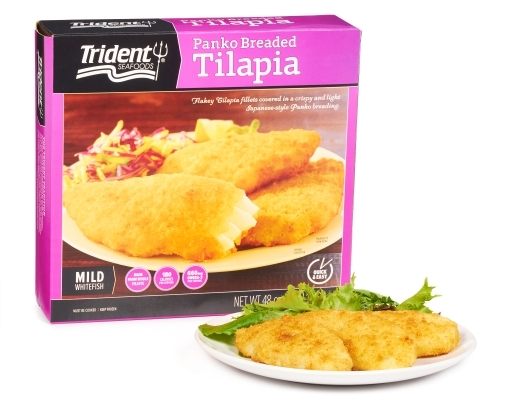 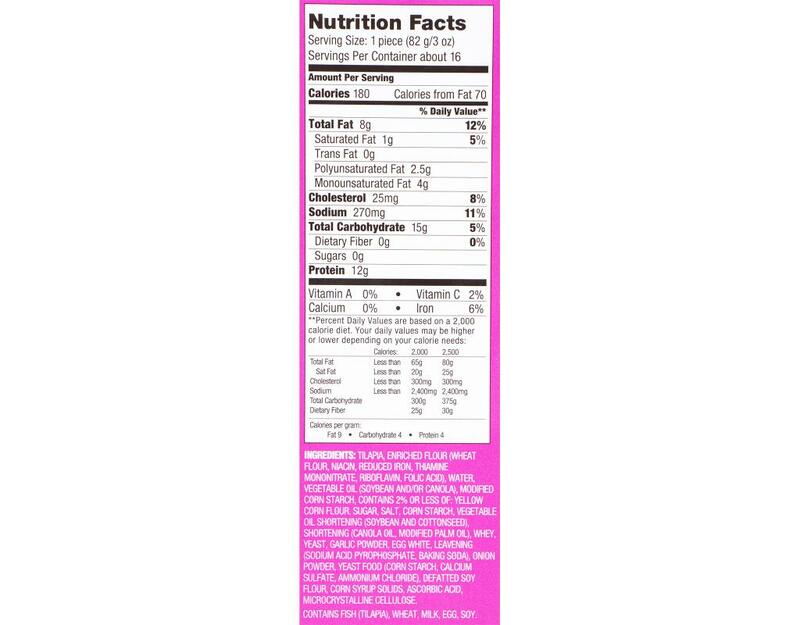 Ingredients: Tilapia, Enriched Flour (Wheat Flour, Niacin, Reduced Iron, Thiamine Mononitrate, Riboflavin, Folic Acid) Water, Vegetable Oil (Soybean And/Or Canola), Modified Corn Starch, Contains 2% Or Less Of: Yellow Corn Flour, Sugar, Salt, Corn Starch, Vegetable Oil Shortening (Soybean And Cottonseed), Shortening (Canola Oil, Modified Palm Oil), Whey, Yeast Garlic Powder, Egg White, Leavening (Sodium Acid Pyrophosphate, Baking Soda), Onion Powder, Yeast Food (Corn Starch, Calcium Sulfate, Ammonium Chloride), Defatted Soy, Flour, Corn Syrup Solids, Ascorbic Acid, Microcrystalline Cellulose. 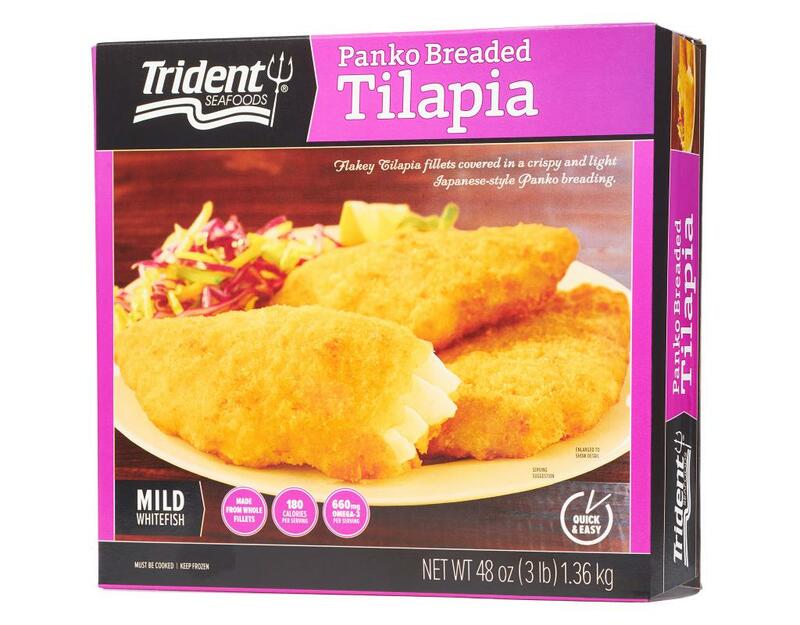 Contains Fish (Tilapia), Wheat, Milk, Egg, Soy.